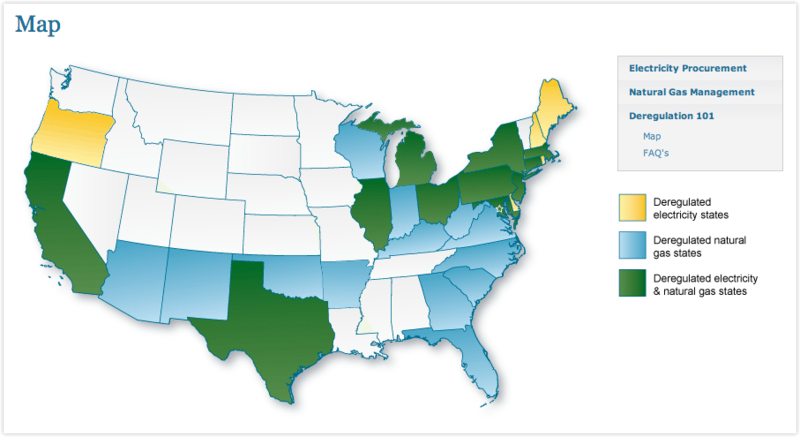 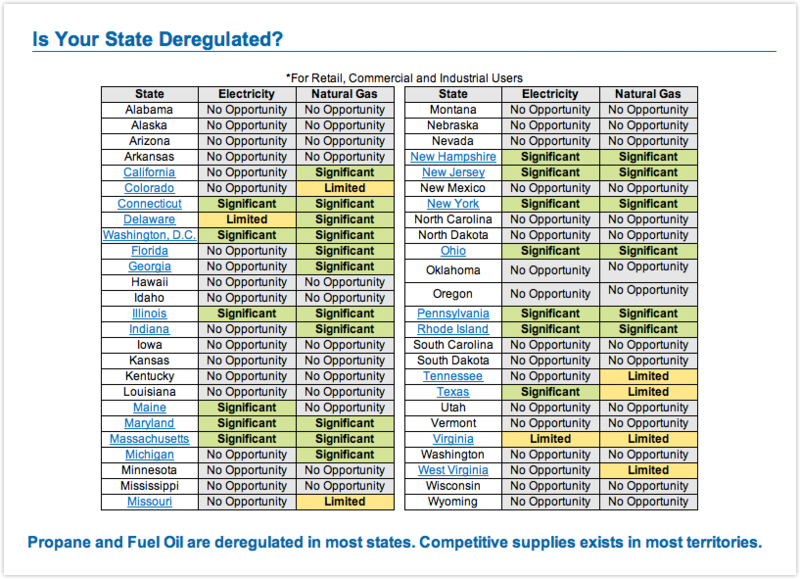 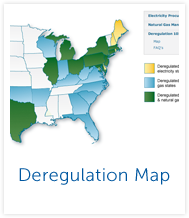 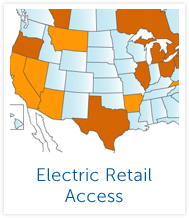 Following are some helpful charts and diagrams showing regions affected by electric deregulation. 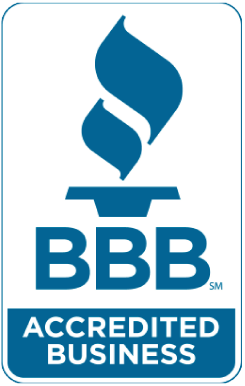 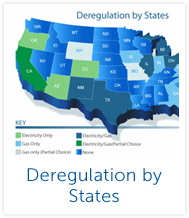 Please contact us if you have any questions about deregulation in your area. 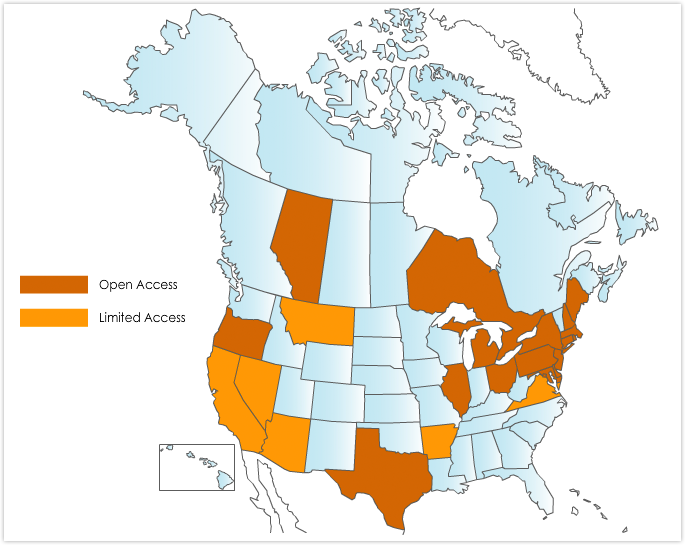 Following are some helpful links for your further reading. 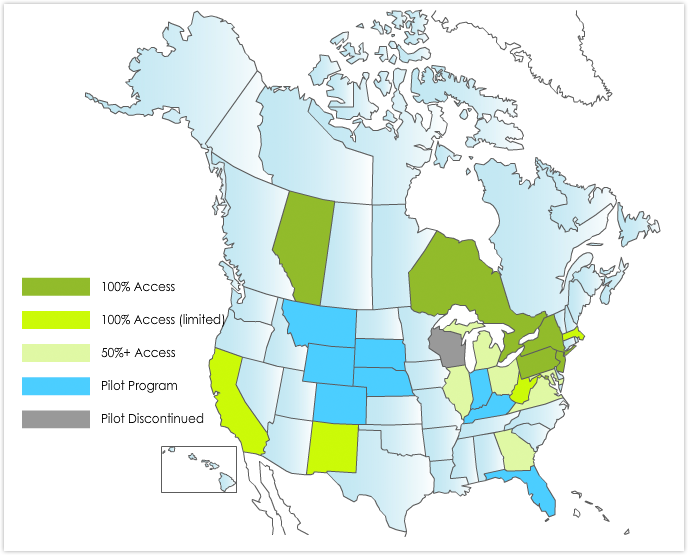 Please contact us if you have any questions or would like to speak with a consultant. 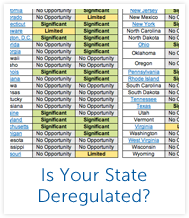 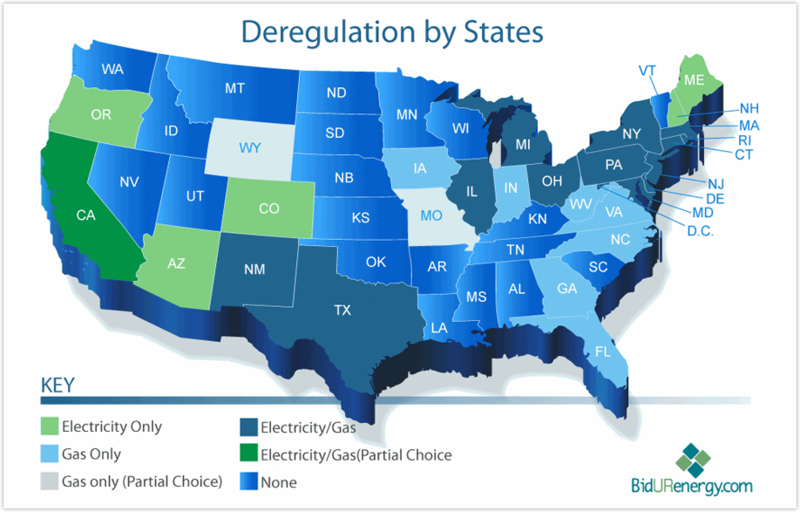 Deregulation - Removal or relaxation of regulations or controls governing a business or service operation such as utilities, as in the current state of increased electric deregulation. 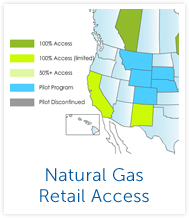 >Price Cap - A level above which regulated prices may not rise.